June 2018 - American Limousines, Inc.
From lagers to IPAs to pilsners, beer comes in so many different flavors and types that it’s hard to keep up with all of them. But what better way to try and do so than by visiting a bunch of different breweries? If you live in the Baltimore area and are planning a brewery tour with all of your friends soon, here’s where you need to go. Opened in 2012, the brewery offers visitors a taste of their Duckpin pale ale, their Anthem gold ale, and their Snow Pants oatmeal stout. The brewing company is in the process of changing locations from their old warehouse in Woodbury to an old Sears Roebuck Plant in Medfield. The new location can hold tripping their brewing capacity but will also have a space for music and local vendors. This should definitely be your limousine rentals first stop on your brewery tour. Next, have your limousine rental take you to Heavy Seas (formerly known as Clipper City Brewing Company). This pirate-themed brewery has been open since 1994 and is located in South Baltimore. They produce 34,000 barrels of beer each year in their space. Their free brewery tours are perfect for everyone in your party bus. At the end of your tour, you can get a pint glass and four beer samples for only $5.00. Give the brewery’s popular Loose Cannon IPA a shot during your visit. 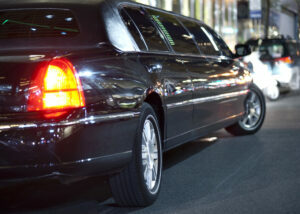 Many people rent a limo or sedan cab service for a brewery tour as a safe way to get from one place to another. The first limos had a seating capacity of four people, but you can now find party buses that fit 20 plus people inside. After figuring out your ride for the brewery tour, it’s time to choose your stops. Heavy Seas Beer, Diamondback Brewing Company, and Union Craft Brewing are all must-visits for your trip with your friends. Approximately 50% of all weekly limo services are used for businesses and corporate customers, but many passengers are looking for a way to travel in style to a special event. Whether you’re celebrating a birthday, commemorating your last night of single freedom, or sending off your teen to prom, limo van rentals can provide the perfect solution. But no matter your reasons to rent a van, you’ll want to make sure that you’ve made a good decision on the type of vehicle and the company you choose to work with. To that end, here are a few “musts” before you book. Plan Ahead: Waiting until the last minute to book will only result in disappointment. By doing all the legwork ahead of time, this will allow you to make an informed decision about the type of vehicle you actually need and ensure that the company of your choice will be able to provide it. You’ll need to get a clear headcount of attendees since occupancy is a key part of choosing a particular vehicle within a fleet. Our limo van rentals, for instance, can seat up to 14 people in lavish comfort. But because many limo services have fewer “in-between” vehicles (i.e., not quite a limo and not quite a party bus), you’ll need to make your reservation fairly far in advance. The last thing you’ll want is to overpay for too much space or find your party has to rent two vehicles to accommodate everyone. 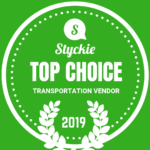 Research Local Companies: Now that you know which limo van rentals would suit your purposes, you’ll need to decide on your transportation company. While there will likely be a number of limousine rental companies in your area, you should focus on those with a large, up-to-date fleet of vehicles and a good reputation. Be sure to peruse their websites and social media pages to get a good feel for what they can provide. Then, conduct an internet search for customer reviews, BBB certifications, and other relevant info. After you narrow down the list, contact your top companies directly for a quote and schedule a visit to their facilities (more on that later). Inspect the Vehicle: Don’t book blindly over the internet or the phone. This could leave you vulnerable to being scammed; some companies will seize the opportunity to literally and figuratively take you for a ride. With limo rentals, van rentals, party bus rentals, and any other type of transportation booking, you should inspect the vehicles in person prior to signing any agreement. That way, you can assess whether the vehicles are new and well-maintained. Skip this step and you could be stuck with an unsafe vehicle in poor condition — or worse yet, no vehicle at all! Regardless of the type of vehicle you need for your event, American Limousines has you covered. To find out more about our fleet of vehicles and how we can help make your occasion go more smoothly, please contact us today.